Please note that the content of this book primarily consists of articles available from Wikipedia or other free sources online. 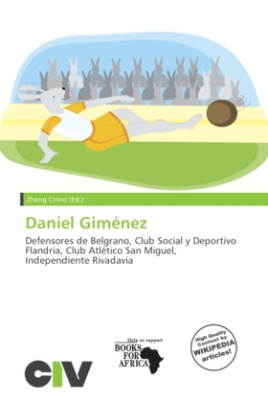 Daniel Giménez (born February 19, 1977 in Buenos Aires, Argentina) is a Argentine footballer currently playing for Defensores de Belgrano of the Primera B Metropolitana in Argentina. Defensores de Belgrano is a sports club from the Nuñez district in Buenos Aires, Argentina. the football team currently plays in Primera B Metropolitana, which is the regionalised third tier of the Argentine Football Association. Defensores has never played in the top flight of Argentine football since the professional era begun, although it spent a number of seasons in Primera during the Amateur era before 1931.